Many Muslims approach Dawah like it is a list of arguments you need to learn to persuade people to become Muslim. Indeed, many Muslims have asked me to recommend them a list of books to read to ‘do Dawah’. However, of all the questions I’ve faced, I find that the hardest to answer. This is because Dawah is not a limited subject area that one can pick up one book and master – or even a list of books. It is far broader. Dawah is the invitation to Islam, but what is Islam? Yes, Islam might simply mean ‘submission to God’, but ultimately, it is a worldview (Deen), that explains the purpose behind the universe, life and mankind. Dawah in Arabic, means ‘invitation’, and is the invitation to Islam. However, to make an invitation, one must know what one is inviting to, and what you’re inviting someone away from. 1. Universe, life and mankind, what is observable in these things, the nature of these things, and how they work (i.e. cosmology). How humans form thoughts, societies and why they do actions, and the record of available human history. 2. The Islamic description of what is before the existence of the universe, what is outside it, and what comes after – and the relationship of human actions to these things. Also the Islamic description of parts of history not available to our records. 2. From (1) and (2), the da’ee (inviter to Islam) must then understand the Islamic solution for leading human life and to the problems of mankind, how resources are to be distributed, family life, social interaction, manners, spiritual/emotional fulfilment, accountable government, the approach to the environment etc. 3. In order to persuade someone to follow Islam, one must first demonstrate the inaccuracies of their current answers to the problems of (1). The da’ee must understand other (including all possible) cosmologies, belief systems (aqaid) and worldviews/ideologies (al’adyan, plural of Deen), and their advocated solutions for human life and problems, and understand why they suffer from inaccuracy, contradiction and unsubstantiated authority. As it is clear, doing dawah requires a comprehensive understanding of reality, and is connected with every aspect of human knowledge. If Muslims truly want to do dawah, they must go beyond simply a list of books, and make every book part of their list, and grow their knowledge and search for answers if the books do not contain them. 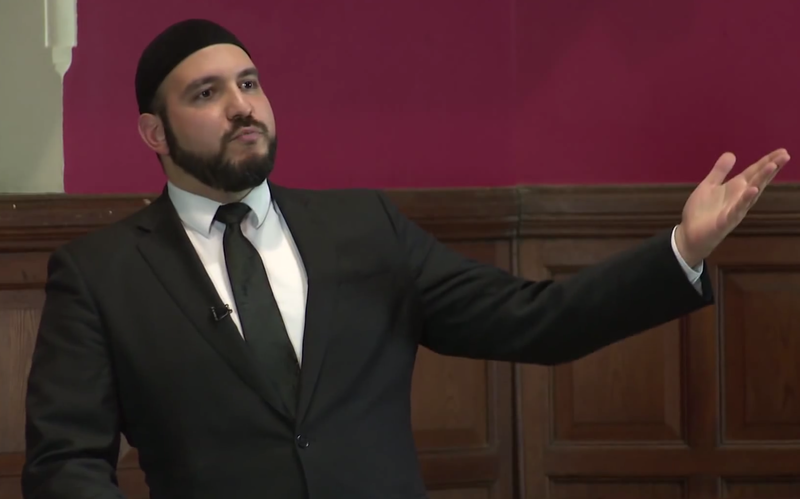 Ultimately, and obviously, the improvement of Muslim Dawah is intrinsically connected to Muslim intellectual revival, and consequentially, the revival of the Islamic Civilisation. Do not let this dissuade you from Dawah, but act as a spur for you to learn, study and research – and discover. We live in a time when almost every iota of knowledge can be accessed from a computer and an internet connection – make the most of this – it will improve your thinking ability in every aspect of your life, and motivate you to do more. The first invitation to Islam, must be towards yourself, because inviting people to Islam is really about inviting people to knowledge AND wisdom (i.e. using knowledge correctly). The Western civilisation (like any other civilisation before it) progressed in study not because of institutions, or systems of government, but because the people became curious about the world from reading (non-theological) books they encountered from the Islamic civilisation, and theological books of ancient Christian thinkers that were re-discovered – we won’t progress unless we do the same with the non-theological works out now, and the theological books from our own civilisation. Even if your vocation is simply to be a baker, shoe maker, tinker or tailor, there are many introductory books of every subject, that take no time to read at all, but will broaden your mind considerably, and help you to contribute to the intellectual awakening of the Muslim Ummah. Each Muslim should endeavour to be a “jack of all trades”, but a Master of (at least) one (trade). Collectively, then, the Muslim Ummah will become a master of all trades. Some Muslims complain that the current Islamic Scholarship of the Muslim world is not as proficient as those in the past – and, on the whole, this is true. The reason for this can be seen when we look at the pool the Scholars are recruited from…us. The Scholars are a reflection of ourselves. All scholars started out as laymen, with the common level of knowledge and wisdom of the Ummah. If the Muslim Ummah were highly educated in knowledge and sought to perfect wisdom, then we could push the quality of our scholarship much further. An analogy for this, is if we imagine that scholars are those who stand while others sit. But even standing, Scholars won’t see much further than the Ummah does. However, if the Ummah all stands up, and lifts the scholars upon their shoulders, they will see further into the horizon, and be able to guide the Ummah much better. Raising the bar of average Muslim understanding, automatically raises the bar of those who are more learned than the average Muslim. It also allows Muslims to better weed out scholars who lack the requisite knowledge and wisdom – when we can understand and demand rigorous evidence for every comment a scholar utters. Finally, many Muslims may complain that they do not have time to research – yet many of the best du’at (plural of Da’ee) studied while holding down a day job, studying at university and looking after family. You actually have more free time than you think, so why not free your time to think. Learn the definitions of words, what they mean, and the precise circumstances they relate to. If you do not know what ‘Iman’, ‘taqwa’ or ‘nafs’ is in human psychology, you haven’t understood those terms, likewise, you need to know what ‘thinking’ is, and ‘thought’ and ‘knowledge’ and ‘wisdom’ because it is likely you’ll never properly attain what you don’t understand or cannot define. Thinking is language, and language is thinking. Words are just mental categories for things in observed or detected reality – learn what makes something fall into one category and not others, then you will have understood it. Ask “Why?” of everything, most things that appear simple are not, and many things that appear complex are actually simple. If you cannot tell the difference, you will not be able to know why (i.e. the causes) things happen.When you have a free moment, either when travelling, walking or doing manual work – put your mind to work on going through things you have observed in your life, and particular phenomena you’ve seen, even ones you see everyday but never question. Combining all these points together – study the world again with fresh eyes. If you can build an understanding of the world from first principles, you’ll understand it, and be able to remold it. Jzk khayr for the article brother. Some good points. However why isn’t there any mention of that the Daii need to constantly work on his heart. Tazkiyyah. Diseases of heart? The Daii need to increase his ibadah. Tahajjud , fasts, adhkaar.. The Daii must learn comprehensible Tawheed and how to articulate it comprehensively to any human being they encounter. The Daii must learn about the fundamental questions they’ll be asked in the grave. They need to study Aqeedah .. This combined with what you’ve highlighted o what a true sincere Daii needs. This is one of the best articles written expounding on the problems in the wider Ummah, the disregard for basic education and the importance of Learning/Gaining Knowledge even though there are numerous verses in the Quran telling us this. If we look at the Ummah today, the common denominator for all our woes is the ridiculous rate of illiteracy across the muslim world. Thankfully, however brothers ans sisters are starting to see this problem, and are addressing it, however we need to address this problem with much more vigour by teaching our next generation the vlue of Learning and Gaining Ilm on the Natural and Social Sciences combined with Islamic learning. Also Kudos to brother Abdullah for giving recommendations on the various introductory book series, I’ve read subjects in most of them, and they are very helpful. If your reading this, plz spread the word.